Roman blinds create the perfect look on a window. 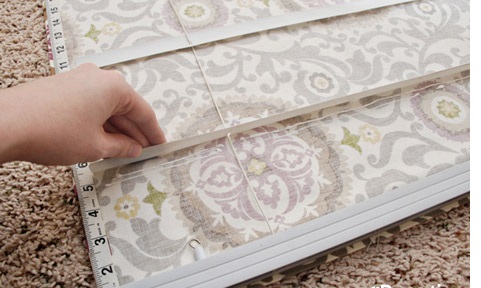 You don’t necessarily have to run to a curtain store to grab one, as it is quite simple to make one yourself at home! 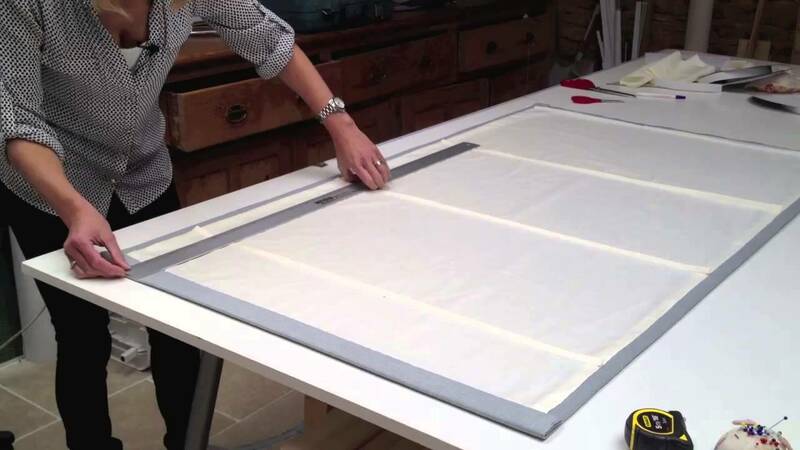 Follow this guide on making roman blinds at home, step-by-step! Place the wooden batten in the window recess underneath the window frame. 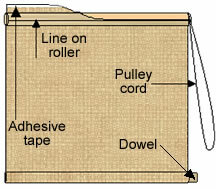 Press the self-adhesive hook fastener at the front of the batten. In order for you to find the measurements of the blind, you have to measure from the top of the batten till the end of the drop. Do add the 2.5cm at the top and bottom for the hems. You will have to subtract the plain border of the blind that you will add later. For the widths measurements, measure the length of the batten and add the 2.5cm for the side seams. Now cut the fabric according to the measurements. Stitch the border to the lower edge of the main blind fabric. Trim the seam and press the seam open. Keeping the right side up, lay the fabric on a flat table, now place the lining fabric on the top. Pin it all around to the main fabric. Stitch the side and bottom edges. Stitch another 6mm line to create the dowel pocket. For the pleats. Lay the blind lining facing up. Measure 5mm from the top of the blind and mark it with a pencil. Divide the remainder of the blind’s length into 20cm pleats. Finish them with a half pleat at the bottom. Mark all the sections you have made with a pencil. Make the pockets that hold the dowels at the pleats by cutting 8cm strips of the lining fabric. Fold the strip in half and stitch the raw edge to make a 1cm seam. Now, center the pockets along all of the pencil marked lines and pin and tuck them. Machine stitch along the lines. Slide each dowel into the stitched pockets. On every pocket, mark the central point, and slip a plastic ring there. You will then make the top hem by turning the edges of the main fabric and the lining by pressing them at 2.5cm and tacking them. Stitch the loop fastener and close the fold. Now hang the blind from the batten. You will then screw 3 eyelets at the underside of the batten. Each should align with the row of plastic rings. The fourth eyelet has to be screwed at the very edge of the batten. Now tie each length of your cords to each f the rings in the lowest pleat. Thread the length of the cord of each to the rings above this line and follow through the eyelets. Trim the cords to a desired length. Thread the wooden acorn to the cord end.